A lively and sensitive bird, who flies in-between sharp and shiny metal constructions and mirrors that reflect its body, break its wings. Gulls come to a city to be safe from storm and discover that it is easier to cope in the urban environment rather than at sea, as there is an abundance of food lying around everywhere. This encourages the birds to build nests and the roofs become very soon their territory where they feel at home. Gull’s raspy yell causes inconvenience and annoyance to the original citizens - humans. They then take action to protect their homes. They simply try to “turn off” the gulls. 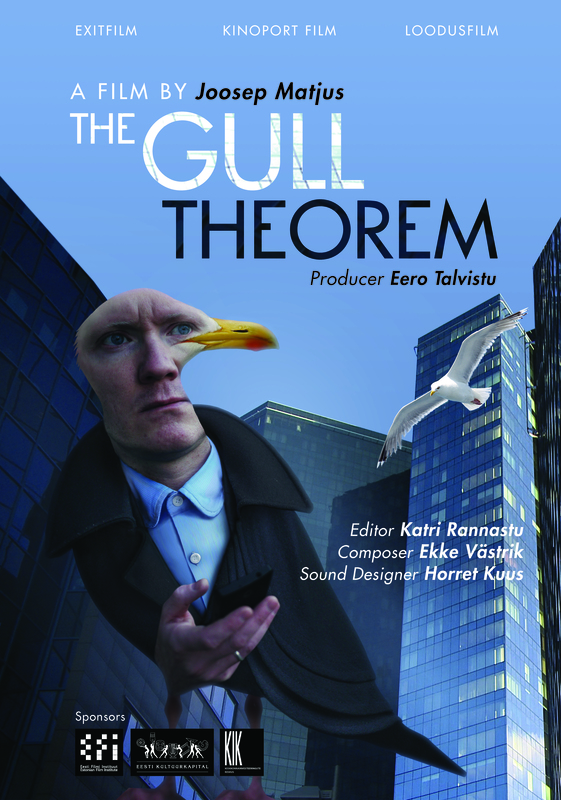 The gull becomes a quiet, ever-flying bird. This is a portrait of a gull, classical nature documentary of birds in a city. But it is also a philosophical contemplation of immigration issues that touches us all on many levels in our lives. The film indirectly and discreetly compares the birds with mankind and tries to understand the reasoning behind this social issue. The director also continues with hiscamino in sorting out the balance between nature and man, the issue that he is very interested in. He has tried to unfold this theme in all of his previous films and plans to continue this path also in the future.